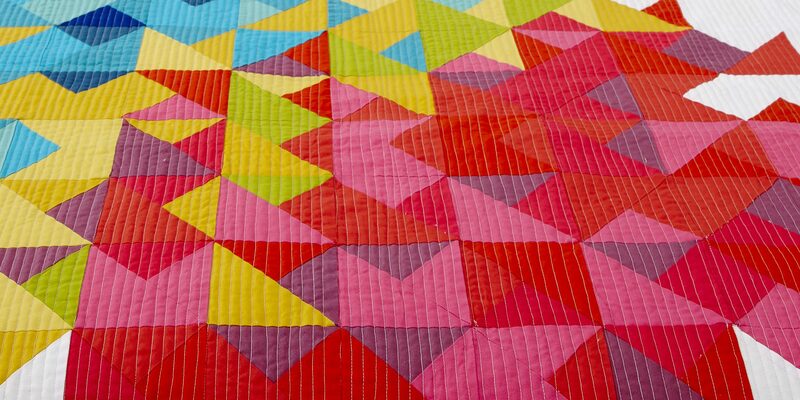 So today I can share a quilt I’ve been working on for the RJR ‘What Shade are you’ Blog hop. Apparently I like all the colours!! It’s quilted by the lovely Cath at Cumbrian Long Arm quilting in a beautiful swirly design, to fit in with those spinning rides I see! Available in 3 different sizes and I’m just going to leave some fabric suggestions here, because it doesn’t have to be in rainbow!! Previous PostBusy Chevrons… Next PostA quilter’s table.